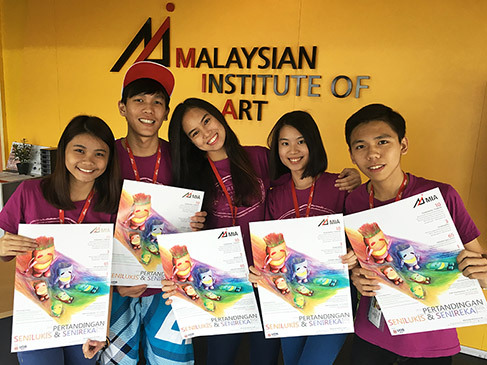 Malaysian Institute of Art (MIA) was founded in 1967 as a non-profitable pioneer art college, providing affordable and quality education. The nurturing journey of MIA began at a rented bungalow in Jalan Treacher (renamed now as Jalan Sultan Ismail) and has grown to own its current campus in Taman Melawati, Kuala Lumpur. Today, MIA provides a range of diploma courses in the fields of art, design and music consisting of Graphic Design, Interior Design, Illustration, Fine Art, Industrial Design, Textile & Fashion Design and Music. Having been around for more than four decades, it is a testimonial to MIA for continuing to provide quality education. The Institute is equipped with a team of qualified academic staff who graduated from both local and foreign universities, with practical creative experiences in their relevant fields. The learning emphasis in MIA is placed on the mastery of creative skills, in-depth inquiries, conceptual development and critical thinking. MIA makes every effort to integrate software applications and multi-ethnic cultural values into its training programmes to enhance the scope of learning and creative quality of the students. 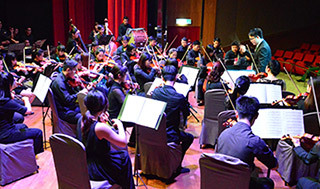 The music programme on the other hand places emphasis on the pursuit of expression skills in voice, composition, musical instruments as well as the in-depth understanding of theory and music principles. The Institute recognises the importance of both academic curriculum and co-curricular activities in developing the skills and attributes which are essential to the students. Students are given opportunities to interact and learn from each other in their daily campus life and extra-mural activities such as concerts, orientation events, creative competitions, sports and games. Apart from that, a range of clubs and societies are also available for the students. The Student Affairs Department will assist the students in accommodation matters and disseminate information on employment opportunities. Students are continuously encouraged to participate in various competitions so that they can put their learning into practice as well as to evoke and develop their creativity. MIA graduates are well sought after by design firms and related industries both at home and abroad. All the courses offered by MIA are accredited by the Malaysian Qualifications Agency (MQA). MIA has been awarded a 5-star ranking in the Malaysian Quality Evaluation System for Private Colleges (MyQuest) for year 2014/2015. 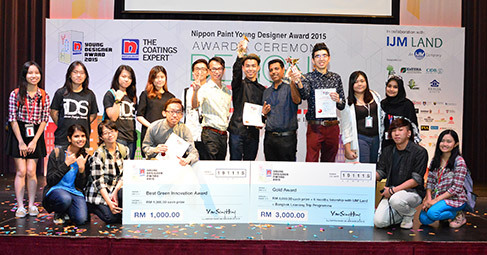 Just to name a few, MIA won the Anakku Batik Competition 2014 Award and Nippon Paint Young Designer Award 2015. Financial aid is available for deserving or needy students who want to pursue their studies in MIA. The Institute also assists students in applying for study loans from PTPTN (Perbadanan Tabung Pendidikan Tinggi Nasional) and SOCSO (Social Security Organisation) if they qualify. Ms. Tian Peak Lim was appointed the President / CEO of the Malaysian Institute of Art (MIA) in January 2012. Ms. Tian Peak Lim holds a LLB and brings with her over 30 years of experience in public and private higher education. She has worked in various capacities at several institutions of higher learning such as Universiti Sains Malaysia, Sepang Institute of Technology, Kolej Tunku Abdul Rahman and Universiti Tunku Abdul Rahman. She has acquired invaluable management and administrative knowledge, skills and insights in the organisation of tertiary education. With her experience, Tian Peak Lim will continue with the mission set for the institute and work towards enhancing and providing the most conducive learning environment for the pursuit of quality art education. Her vision is to make MIA a centre of academic and creative excellence. MIA is confident that Tian Peak Lim will build on the firm foundation laid by the previous presidents and provide strong leadership for the institute in meeting the national agenda of providing quality tertiary education, and in propelling MIA to greater heights, both locally and internationally. MIA strives to produce human capital of the highest quality to meet the economic and social development needs of the nation, especially in the creative industry. It endeavours to focus its efforts on producing graduates who are not only knowledgeable and skillful but who are also able to demonstrate creativity and innovation that will enable the country to stay competitive and ahead of the times. 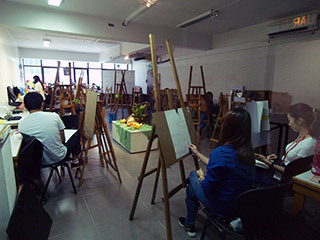 The Fine Art course in MIA is about learning and developing one’s technical and visual skills. We are exposed to foundation of design, traditional and non-traditional experimental projects. Besides that, the teaching here emphasises development of ideas through critical thinking and the process of creating an artwork. The best part of my course is having the freedom to express myself and being constantly encouraged and challenged by the lecturers to explore new ways of doing art. In MIA, the lecturers are friendly and helpful. Most of them are available for advice regardless of subject matter. 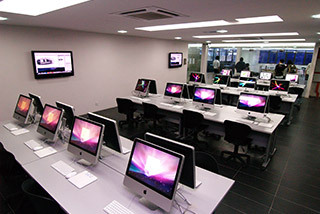 The best part of studying in MIA is the conducive and constructing learning environment that we get to experience here. I got to know about MIA from my uncle who commended the Institute for producing quality students. The Music course in MIA prepares students both practically and theoretically and provides us with a firm foundation in music. On top of that, the affordable course fees also lessen the burden of my parents. 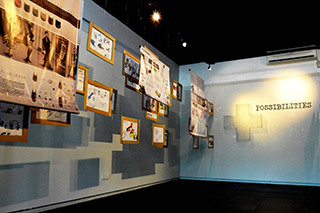 The uniqueness of the Textile & Fashion design course is one of the reasons why I chose to study in MIA. This course consists of 2 major modules (Fashion Design and Textile Design) in one programme which is very rare in the market. Apart from offering quality education, the fees are also very affordable and MIA was highly recommended by my secondary school art teacher back then. I chose Industrial Design because I want to be a competent designer who is able to develop innovative designs to suit human needs and improve the quality of living. What is taught in MIA is very relevant to the needs of people and the industry. Therefore I believe this course prepares me well to face the work force in the future.